Description: Bryony Gordon was not a runner. A loafer, a dawdler, a drinker, a smoker, yes. A runner, no. But, as she recovered from the emotional rollercoaster of opening up her life in her mental health memoir MAD GIRL, she realised that there were things that might actually help her: getting outside, moving her body and talking to others who found life occasionally challenging. As she ran, she started to shake off the limitations that had always held her back and she saw she had actually imposed them on herself. Why couldn't she be a runner? In April 2017, Bryony Gordon ran all 26.2 miles of the London Marathon. In Eat, Drink, Run., we join her as she trains for this daunting task and rises to the challenge one step at the time. Of course, on top of the aching muscles and blistered feet, there's also the small matter of getting a certain royal to open up about his mental health. Through it all, Bryony shows us that extraordinary things can happen to everyone, no matter what life throws our way. 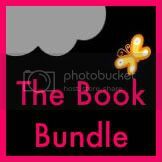 My thoughts: I read Mad Girl, Bryony Gordon's previous book, in the autumn. To say I enjoyed it is not quite the right sentiment; it's mostly not a happy book, as it documents Bryony's life living with OCD and the frequent lows that the condition brought her to. It was a very moving book that had a lot of effect on me, though, so I was very interested to see what direction her next book would take. While I enjoyed Eat, Drink, Run., it's a very different book to Mad Girl. The book begins by setting up how she decided to run the London Marathon in the first place. It talks a bit about her OCD and how that led to her setting up a support group, beginning to write a lot more about her mental health in her Telegraph column and working on writing Mad Girl itself. She's invited to an event about mental health hosted by Price William, Princess Catherine and Prince Harry, where one thing leads to another and she tells them she'll run the marathon. While it's just as readable as her previous book, there were places where I felt like Eat, Drink, Run. was an extended column. There are a lot of anecdotes that, while funny, don't necessarily tie in to the rest of the book very well. That aside, it manages to be a very entertaining book while looking at the serious subject of mental health, and how we can all tackle something big by taking it in small steps. It doesn't focus much on Bryony's particular marathon training plan (except to say that for a while there really wasn't one). You get a general picture of how training is progress, but it's more of a background, framing how the increased exercise is changing her habits for the better, and how the journey to running the marathon lead to her crossing paths with the royals on several occasions. The book is light, entertaining and inspiring, while still drawing attention to what it can be like to live with a variety of mental health problems and how we can do better to help people living with them. It's a very accessible book for those who want to learn a little bit more about OCD without getting into something too emotional or draining, and I think that's who I'd most recommend this book to. 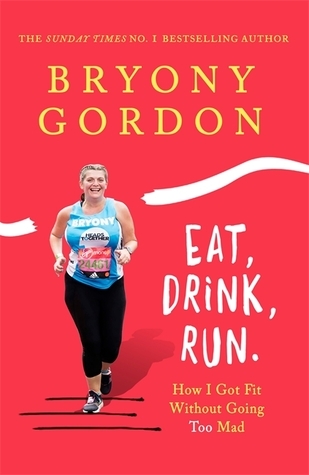 If you've enjoyed reading Bryony's columns, but didn't feel like Mad Girl was right for you, I'd suggest picking up Eat, Drink, Run. I'd still very much recommend it to people who did enjoy her other books, but just caution that it is quite different from Mad Girl. Overall, I'm giving Eat, Drink, Run. 7 out of 10. Description: In a 1930s-esque New York, Prohibition is in force, fedoras, flapper dresses and tommy guns are in fashion, and intrigue is afoot. Intrepid Librarians Irene and Kai find themselves caught in the middle of a dragon vs dragon contest. It seems a young librarian has become tangled in this conflict, and if they can't extricate him there could be serious political repercussions for the mysterious Library. And, as the balance of power across mighty factions hangs in the balance, this could even trigger war. My thoughts: First of all, this is book four of the series. I knew that, but my boyfriend who bought it didn't. However, it stands alone very well, and there are only vague references to the events of the previous books, so I don't feel like it spoiled them. The book kicks off with Irene trying to trade a book with some vampires, and getting into more difficulty than she'd hoped. While making her escape, she's approached by a dragon who asks for her help in retrieving a book, a task that's been set as part of a question of succession. When Irene points out that the Library and it's employees remain neutral in such issues, as this dragon should know, the dragon hints that another librarian is already involved. Irene and Kai head back to the Library to report their suspicions of librarian involvement, and from there end up in the alternate universe New York. It's a very fast paced book with a lot of twists, and I really enjoyed it. I love Irene's sense of humour and the spark between her and Kai. I'd recommend the series in particular to those who have been missing Gail Carriger's books, with their humour, whimsy and excellent plots. I'm definitely going to hunt down the rest of the series. Overall this gets 8 stars from me. Description: Renata Ghali believed in Lee Suh-Mi’s vision of a world far beyond Earth, calling to humanity. A planet promising to reveal the truth about our place in the cosmos, untainted by overpopulation, pollution, and war. Ren believed in that vision enough to give up everything to follow Suh-Mi into the unknown. My thoughts: This book has been out for a couple of years in the USA, and I've heard good things about it, and that it represents mental illness well. 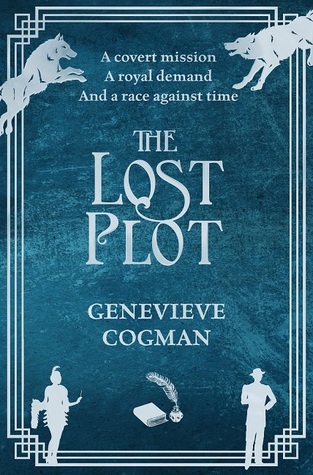 So, I was really pleased to hear that Gollancz were going to publish it in the UK, and I jumped at the chance to review it. The book switches between what's happening in the present, and flashbacks to both life on earth and to when they were first arriving at the new planet. Although it's science fiction, I felt like the book was really an examining of society, what a society is built on, and what people might choose to do to maintain that society. You get little snippets of what Earth is like, what society and politics have descended to on earth that prompted this group of people to try to build a very idealistic culture on this new planet. Each of the characters you meet throughout the book has a very distinct personality and different motivations for why they came to the new planet. They were all so well built, and I would have enjoyed getting to hear more about any of them. I think that's a good example of how well written this book is. Although you really don't see much of the planet they're living on, you still get a very clear picture of the area that they are in. Ren has some anxiety problems, which manifests into certain other behaviours, and she keeps this hidden from the other colonists. Given what I'd heard about Emma Newman's handling of mental health problems in her writing, I was expecting it to be a little more prominent than it is in the story. While aspects of it play a big part, it just didn't come in to Planetfall the way I'd anticipated it might. But that's a good thing, that I was surprised in a lot of places in this story. It really didn't do what I expected from what I'd read on the back, or what I imagined in the early pages of the book. 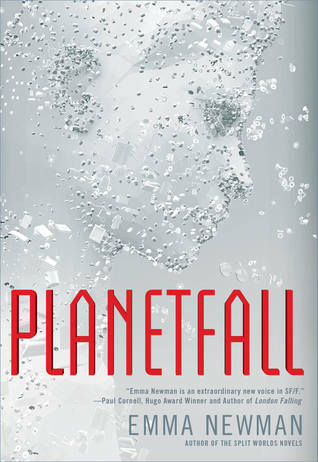 Planetfall was a really interesting read, and such an interesting look at the consequences of our choices, regardless of what the intentions behind those choices might be. The ending also surprised me a lot, although I was content with it. That said, I'm really keen to read more set on this planet. I'll definitely be looking in to other things which Emma Newman has written. Overall, I'm giving Planetfall 8 out of 10.